When used properly, dashboards are highly effective business intelligence tools. However there are many mistakes that can be made when designing a dashboard, that can ultimately result in a less effective and sometimes even confusing layout. When you design your Excel dashboard you should keep in mind that you want reports that are clear, succinct and to the point. What you definitely do not want, is a dashboard that is so full of various charts and data that it is impossible to get a clear overview. To create an effective dashboard, the designer must first know exactly what information he or she wants to receive from the dashboard. There is no point including a chart on the amount of water purchased for the staff canteen, or the figures spent on a specific advertising campaign, when this sort of data can be included in more general charts focussed on expenses. If you want that kind of specific detail, you can include it through drill down features, or even create a separate dashboard for detailed expenses. Always remember that a dashboard should display KPIs (Key Performance Indicators), that help managers and executives decide what changes and decisions should be made to boost the company’s performance. The designer of the dashboard therefore needs to know exactly what the KPIs are, so that the dashboard can reflect the relevant information. Again this is a very key error that can easily happen when putting together an Excel dashboard. Even small business generate a huge wealth of information, and just about any aspect of a business’ day-to-day operations can be charted and potentially included in a dashboard. 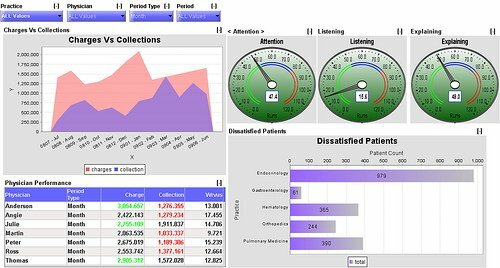 It is therefore necessary to be clinically precise when creating your dashboard. Remember you can always go back and edit the specifications if you find that you have included certain charts that are irrelevant to your decision making, or if you have omitted data that is highly important. Business intelligence software such as an Excel dashboard can make an immediate difference to how you run your business, but it is important to constantly adapt your software to your needs and to your operation.